Autism Project walks towards goal – . 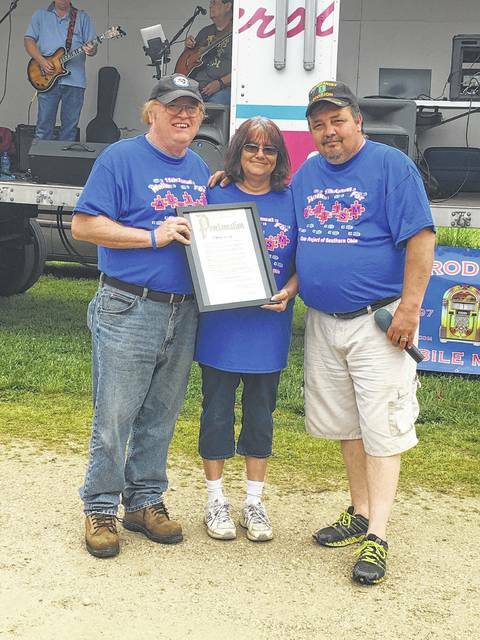 Thunderstorms could not stop Saturday’s 15th Annual Autism Walk held at Milbrook Park in New Boston. Autism Project of Southern Ohio President Mike Bell explained that when he first arrived Saturday morning, storms had blown through the night and pretty much destroyed everything. However, a determined group of volunteers made sure guests would have never known there was an issue, saving the day and saving what turned into a busy event. Proclamation by New Boston Mayor William Williams, Jr. proclaiming April 29 as Autism Day in New Boston presented to Mike Bell, President of Autism Project of Southern Ohio, Kim Copas, Vice-President, and New Boston Councilman Mike Payton who is the President of the Governing Board for the Autism Project of Southern Ohio. The presentation was made at the annual Autism Walk held April 29 at Millbrook Park in New Boston. Bell explained that throughout the day, somewhere between 500-700 joined in for the festivities. Activities included a poker walk, live music, inflatables, auctions, games, Autism information and a variety of vendors. “It has grown,” Bell confirmed, saying that each year people seem to really enjoy the auction, but this year more people got involved. All money raised from the event goes back into the community by providing services to autistic individuals and their families. Though the total is still be tallied, the Autism Project had $1,000 donations from Aarons, of New Boston and the Ernie West AMVETS Post 95/Post 95 Ladies Auxiliary, of Greenup, Kentucky. Such funding will help the Autism Project be able to offer additional services to the Autistic community by allowing them to expand upon their current operations. 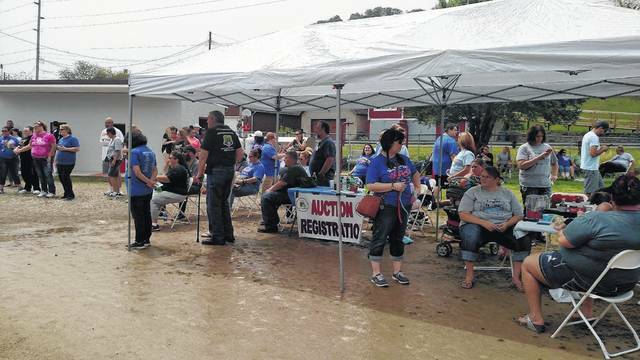 A crowd gathers, despite a little mud, for the annual Autism auction, held Saturday in connection with the 15th Annual Walk for Autism. Bell explained that people with Autism have difficulties with social skills. As a result, the Autism Project focuses on taking these individuals out to the movies or to community events where they can become engaged in community activities, develop a unity with their community and work on those social skills. Additionally, the Autism Project brings in guest speakers that help education parents, families and even schools. They assist individuals with autism by doing things such as going in front of the Social Security Administration with them, putting funding into developmentally handicap classrooms in local schools and providing college scholarships. Last year, the Autism Project gave out seven college scholarships for $700 each. This entry was posted in Mayor, Photos, Village News. Bookmark the permalink.